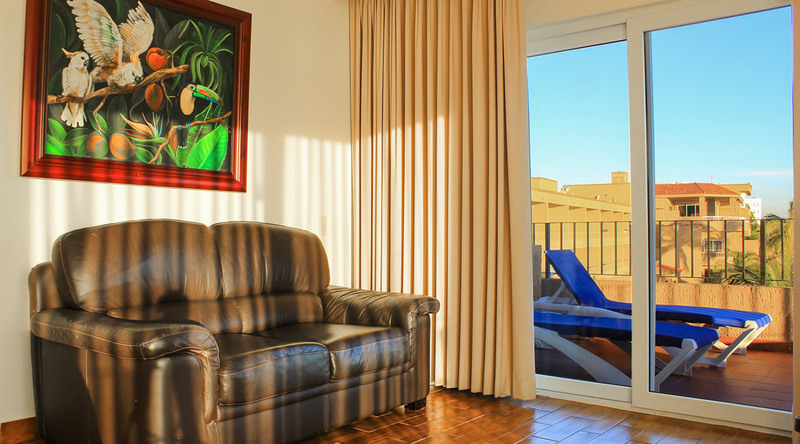 The Hotel Playa Mazatlan’s Villa Bonita, your bright, spacious corner suite opens to a private wrap-around balcony, with fabulous ocean and island views. To the south, the charming beachside neighborhood of Olas Altas, Icebox Hill and El Faro, the lighthouse, can be seen, and just offshore, Deer Island is so close you can almost see the birds and flowers that live on this environmentally protected sanctuary. 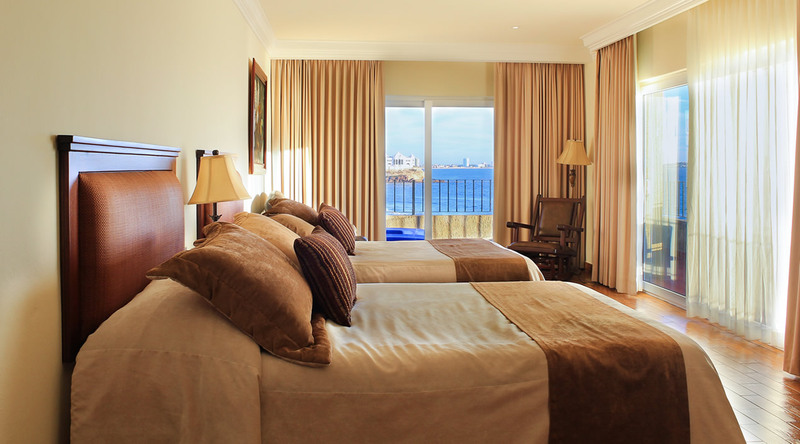 Peaceful tropical breezes and the soothing sounds of the rolling surf below will lull you to sleep each night and gently wake you in the morning. 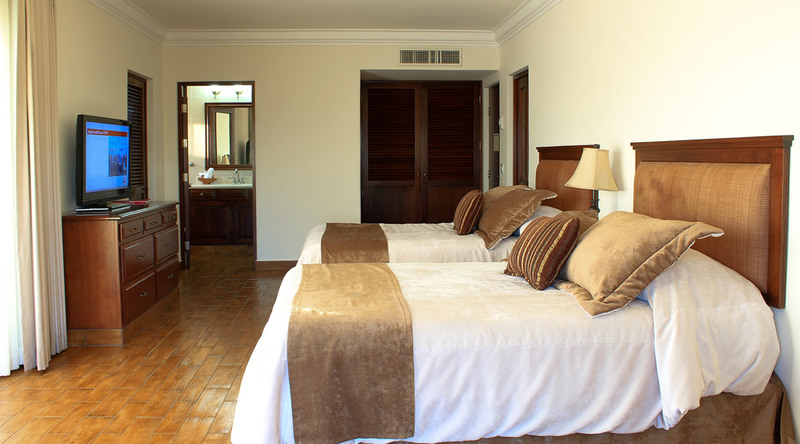 This unique suite features two double bed, kitchen with stovetop, refrigerator, comfortable sitting area with workstation, flat-screen TV and wireless Internet. Available only if you book directly with us from March – April 12, 2019. Available only if you book directly with us from January 7 to April 12, 2019!